Created and developed by publishers Bob Pawlowski and Steve Walsh, Distinctive Directories debuted with The Valley Book (Farmington Valley, CT) in 2000. 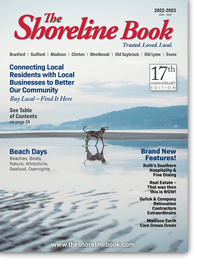 The Shoreline Book. This wide circulation is supplemented with Web sites that attract close to 550,000 visitors. What defines us best is what people say about us. Take a look.